I’ve been working on an APA citations tutorial for almost two years now. Yes, two years. I started an APA citations tutorial in Storyline in November 2015. There was a long hiatus in there somewhere, and then a complete change-of-course altogether. I’ve only been ready to show this project since July. I was fortunate to upgrade to Storyline 3 over the summer, but of course I had to iron out the bugs after upgrading the file. This tutorial is worthy of its own post because of its format: it’s a series of games and self-directed learning opportunities wrapped in an essay-writing simulation. The scenario is that you, the learner, have finished writing an essay and have only to complete the citations to finish it all up! (If you’re anything like me, citations take as long as the writing did!). The learner’s home base is a simulated desktop, compete with computer, the three sources they “used” for their paper, and an APA style guide (written by yours truly). Learners may click on the computer to complete their references. On the left, the book, the iPad, and the phone each represent a source used for the paper. The APA book is an online style guide for reference. 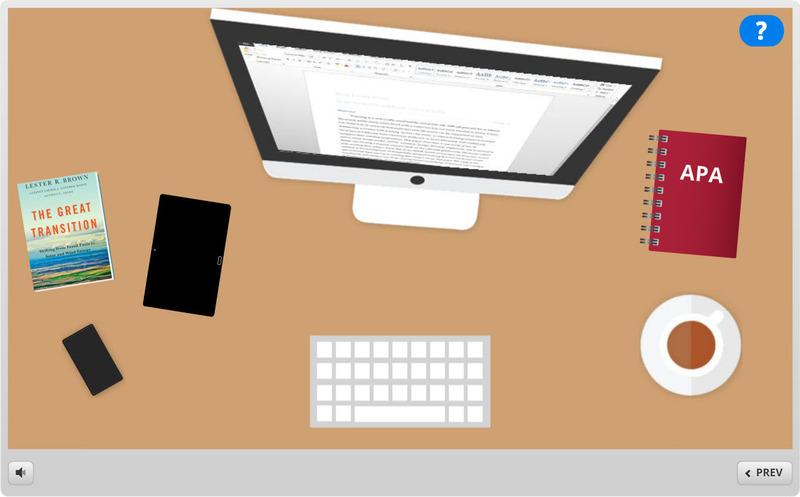 Learners have to complete three references: a book, a website, and an article. Each reference is completed via quizzes, complete with multiple-choice, fill-in-the-blank, and hotspot questions that step-by-step build each tutorial. The learner has access to the APA style guide every step of the way – and has the option (self-directed learning!) to play a game prior to attempting each reference to build their APA knowledge. The trivia game is pretty straightforward – it’s a set of multiple-choice questions about how authors’ names are formatted in citations. I got the template from Tim Slade. 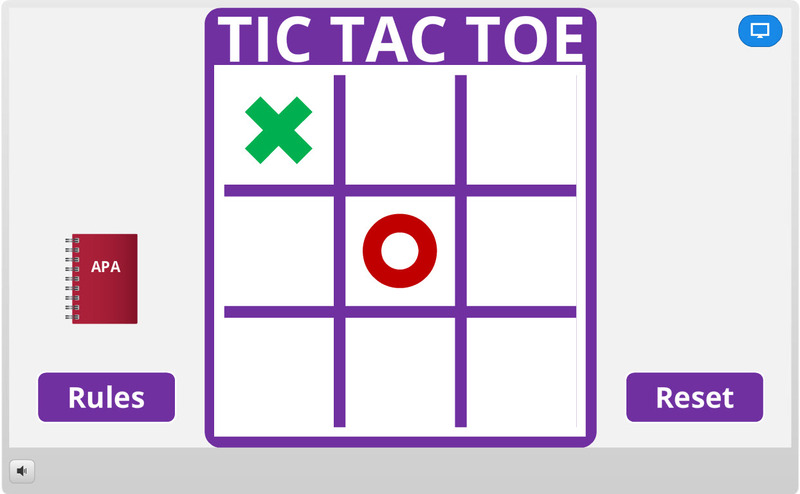 The Tic Tac Toe and the VIP Game are both completely built from scratch. 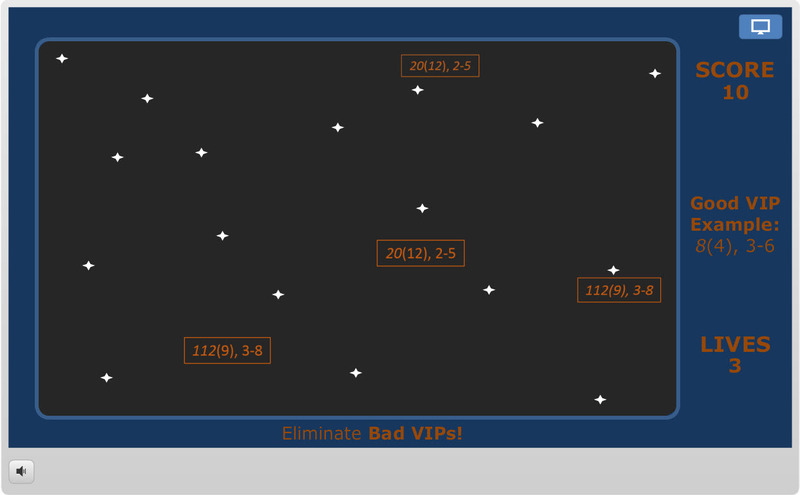 The VIP Game is a modification of my Spaceshooter game – learners have to shoot down the incorrectly formatted “VIPs” – the Volume/Issue/Page facet of any APA article citation. It’s impossible to win, but learners can replay to achieve higher scores. I’m especially proud of the Tic Tac Toe game. Each square leads to questions related to formatting a paper in APA style – the learner must answer three questions correctly, in a row, to win the square. Otherwise it goes to their “opponent.” Each square is linked to a question bank, so that the questions appear randomly, and the learner never plays the same game twice. If the learner scores three boxes in a row, they win! This game took a lot of development time all by itself. I’m still working on testing this tutorial, and figuring out how best to make it play nice with our learning management system so that students can earn a badge for completing it. 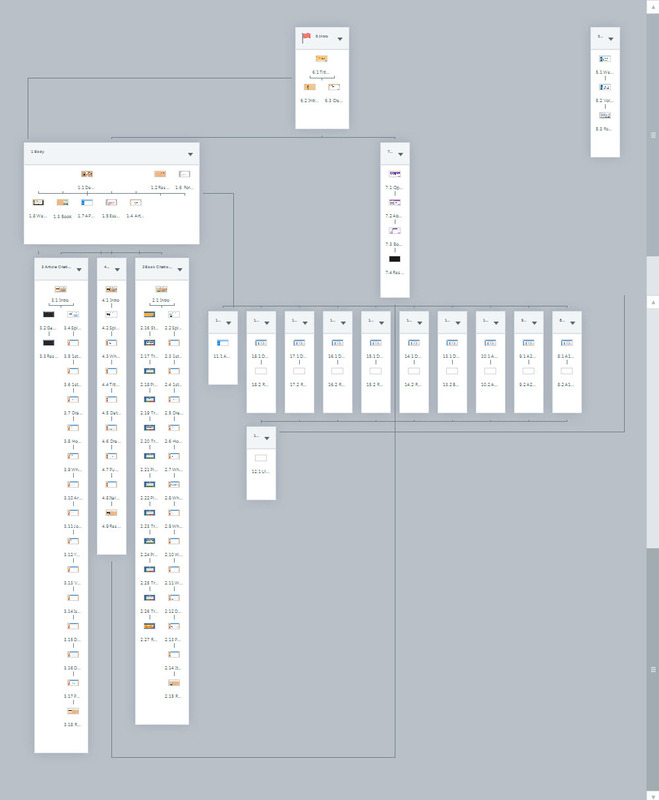 When it’s all done, I’m going to publish each game individually as well. Visit the live tutorial demo!